I was recently in a coffee shop after our daily pier walk, and decided to stay for a coffee and a light bite to eat, rather than just my take away coffee. I asked the lady taking my order for a scone. She didn’t understand what I was asking for. I repeated my request and she still didn’t know. So then I changed the pronunciation of the word scone and she got it. Finally! You see I say scone (rhyming with gone) and this lady only understood me when I said scone (rhyming with stone) and I guess no matter how you say it, the person next to you will always say it slightly differently. But whatever way you say it, they are always a delightful treat. 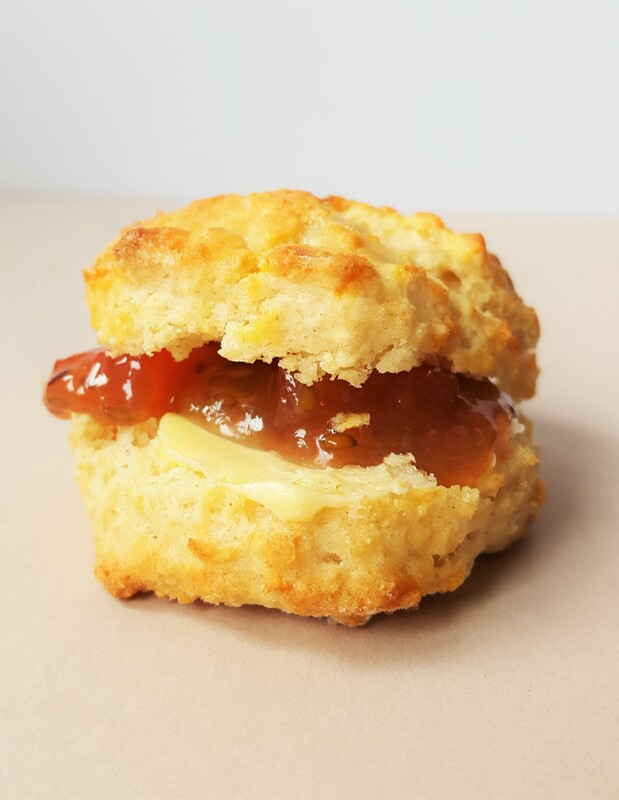 So for today I present you with my plain scone recipe. Sometimes the best things are always the simplest. I have been meaning to post this recipe for ages. But somehow time once again has escaped me. I generally have a few hours in the evening to get things written but then I find myself making dinners, doing laundry and then passing out while reading a book just in time for our little bundle to wake me up for his feed. If I am busy now, how on earth did I think I was busy before? What did I do with my time before I had my children? I haven’t the foggiest idea. And I’m sure that in a few years I will once again look back to this time and think about all that free time wasted. I may not be able to blog more often, or take better photos but I truly enjoy the little that I do do and I love hearing from you my readers who have tried my recipes or just like my writing or the sound of my food. And now I have a chance for a little recognition of the hard work that goes into writing a blog as I have been longlisted for the Littlewoods Ireland Blog Awards 2016. Wish us luck, and keep your fingers crossed for a spot in the shortlist! I have been making these since I was a little girl. And have been repeatedly asked for the recipe over the years. This makes a small batch (perfect for a day or two worth of family snacks. I use a small cutter, ideal for afternoon tea size portions which makes about 8 small scones, but use a larger cutter to make bigger scones (about 4). They take very little time to make (I usually get them made and baked during Alexander’s afternoon snooze). This recipe doubles nicely. Heat the oven to 190 C (fan oven). Line a baking tray with parchment. 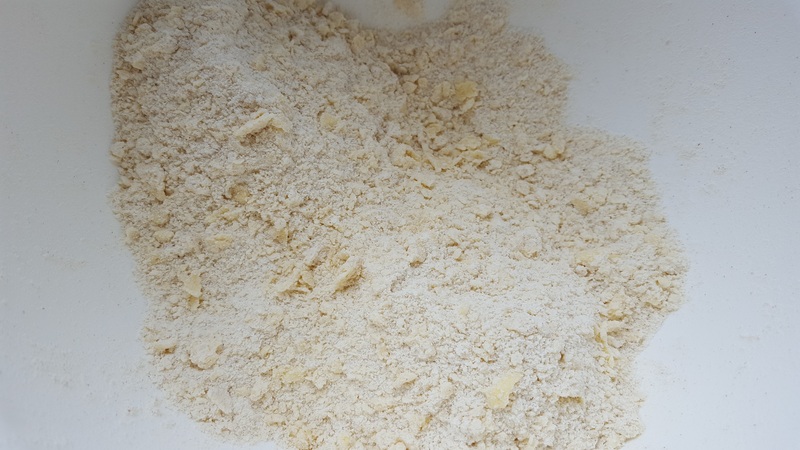 Sift the flour, salt and baking powder together in a large bowl. 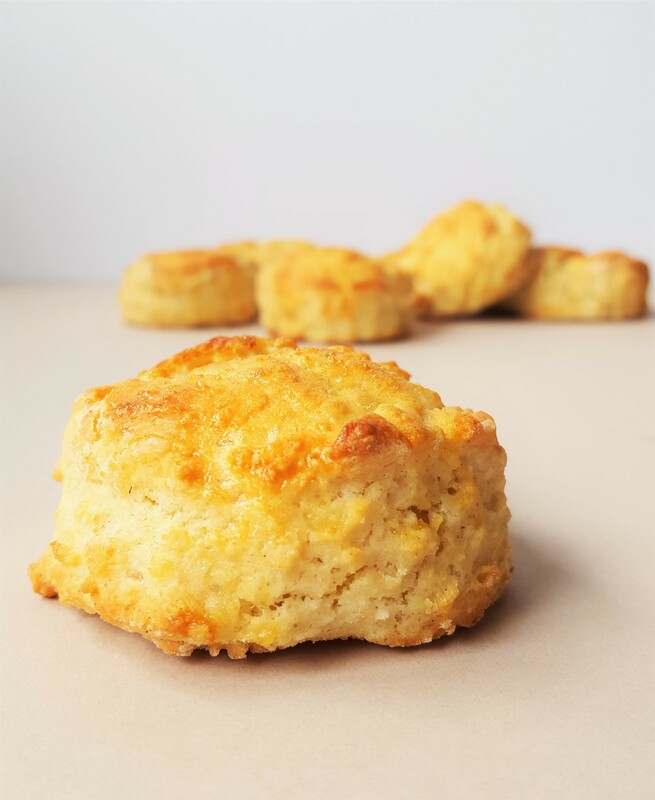 With your fingertips, rub the cubes of butter into the flour until you have crumb like pieces. Next make a well in the centre and pour in the buttermilk. Using a wooden spoon, mix together gently, until just comes together. Do not over mix, as this knocks the air out and makes them denser. 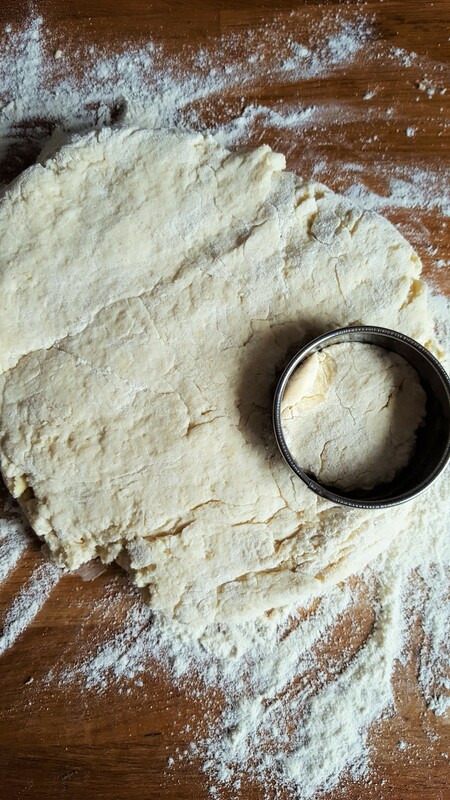 Flip the dough out onto a floured surface and gently bring the edges together to form a circle and flatten the dough to about 1 inch thick. Using the cutter, place on top of the dough and with one swift motion, punch the cutter into the dough, you should hear the sound of air escaping (whoosh). Place the scones onto the baking tray as you punch them out. Brush the tops with egg glaze. 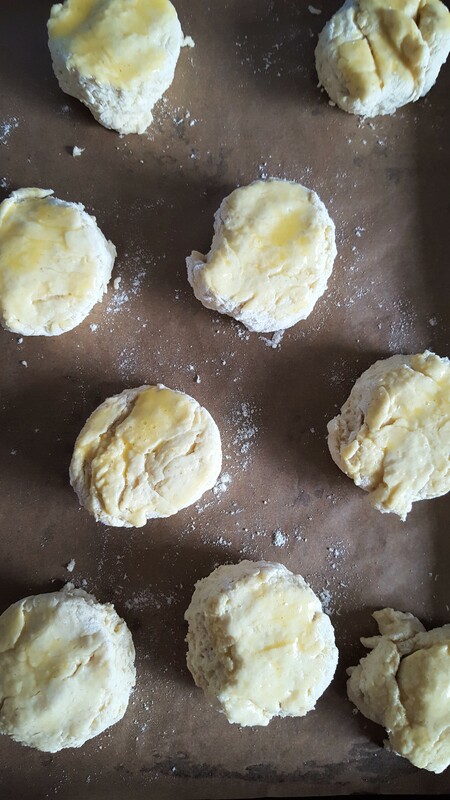 Pop them into the oven for 15 minutes if making smaller scones, 20 minutes for larger ones. 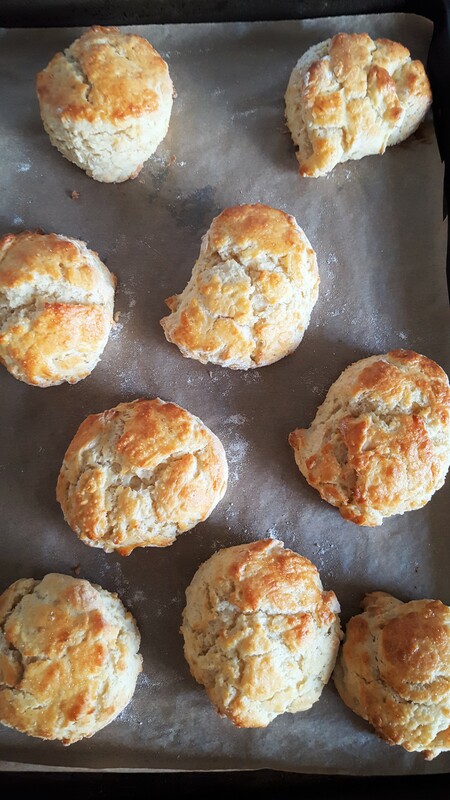 They should be golden brown and the base of the scone should sound hollow when tapped. Allow to cool before slathering with butter and jam.